This is a cycling course going all around the Miura Peninsula. A park facing the former Yokosuka Iron Factory whose establishment was contributed by French engineer Verny. In this park, there are beautiful flower beds, a fountain and a western cottage based on French garden design. Best of it all would be the gorgeous rose beds with an estimated 130 species. 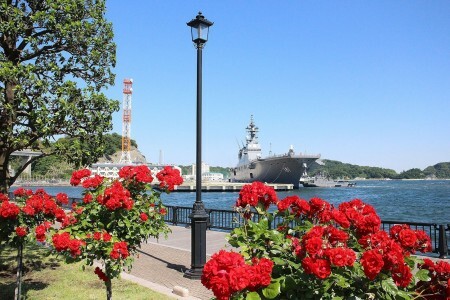 In spring, the various roses will bloom, making the port landscape more vibrant. 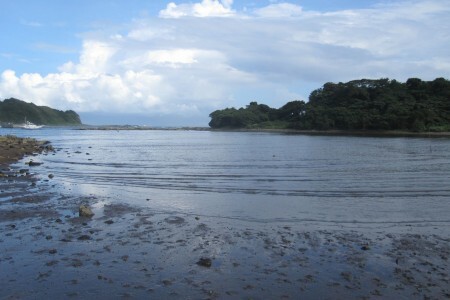 Ena bay is both a fishing port and a tidal flat. During low tides, you can observe living organisms such as crabs in the flats. The lighthouse was designed by a French engineer, Francois Leonce Verny and completed in 1870 (Meiji 3). 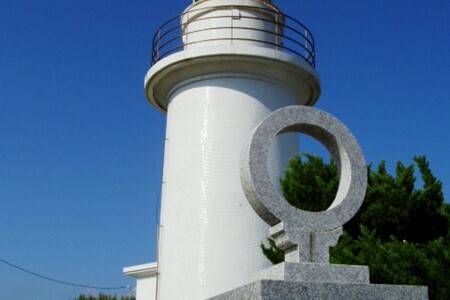 The lighthouse collapsed in the Great Kanto Earthquake, so it was reconstructed in 1926 (Taisho 15). 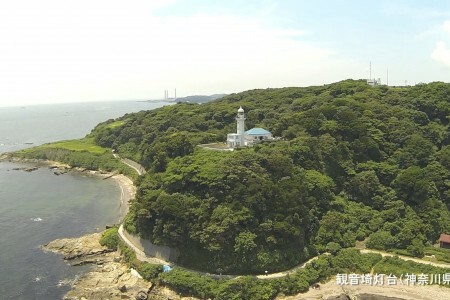 The height of lighthouse is 11.5 m and it stands on a cliff top, which is 30 m above sea level. A magnificent scenery spreads beneath the lighthouse. 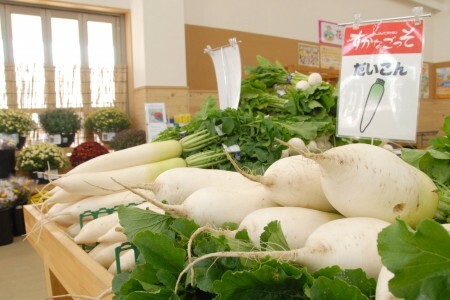 Sucanagosso is a farmers’ market where an estimated 400 farmers of JA Yokosuka Hayama sell their homegrown vegetables and where seasonal agricultural products are delivered. 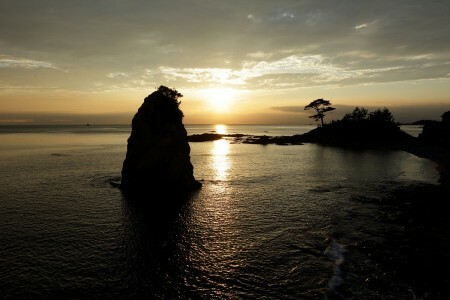 This park is famous for its beautiful view of the Tateishi coastline, where Mt. Fuji can also be seen in the distance. 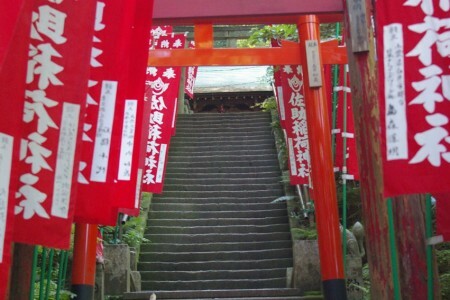 This scenery was captured by the famous Edo period artist Ando Hiroshige. 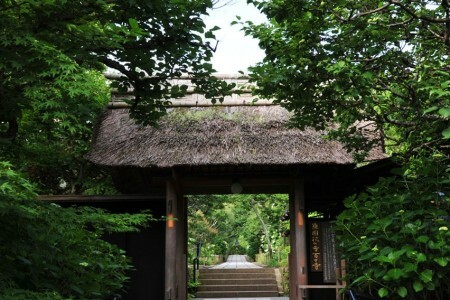 Today, visitors enjoy walking along the shore, and admiring the view from the park. 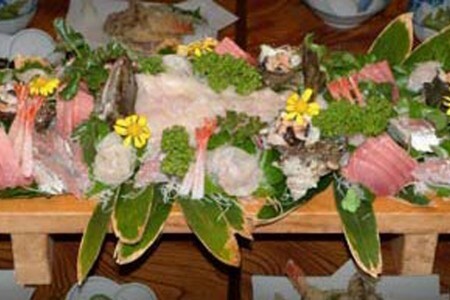 Enjoy the bounty of the Miura Peninsula Sea, only available to the guesthouses of local fishermen!